It’s official! 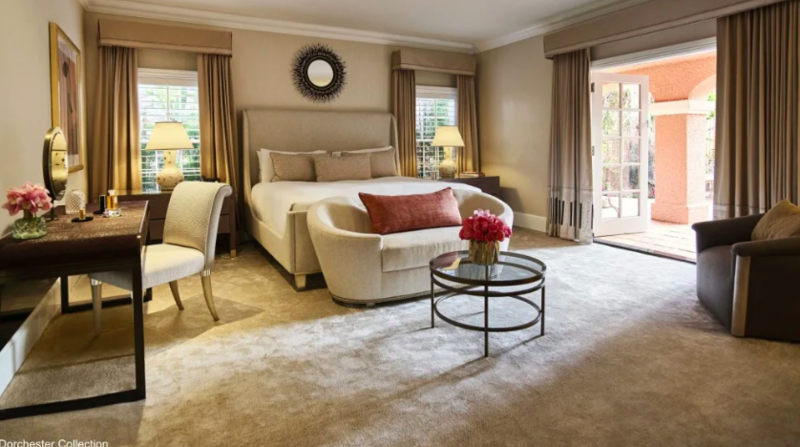 Marilyn Monroe‘s favorite bungalow located at the Beverly Hills Hotel is now available after being renovated to reflect her influence on the Beverly Hills and Los Angeles areas. The hotel was originally built in 1912, long before the film industry started hitting the scene. Now, after years of the film industry being involved with his hotel, its Marilyn’s bungalow that’s one of the most legendary. You’d expect nothing less of this glamorous bungalow, which also comes with a complimentary supply of Chanel No. 5. With a spacious area in addition to the right amount of privacy, it’s the perfect space for a big star at the time like Marilyn. The bungalows are actually located in the back of the Beverly Hills Hotel. The area is also surrounded by palm trees as you can see in the picture above. So beautiful! 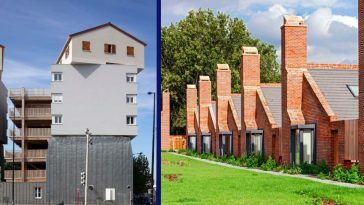 This bungalow in particular starts at $8,500/night. Rooms at the hotel generally start at $700. 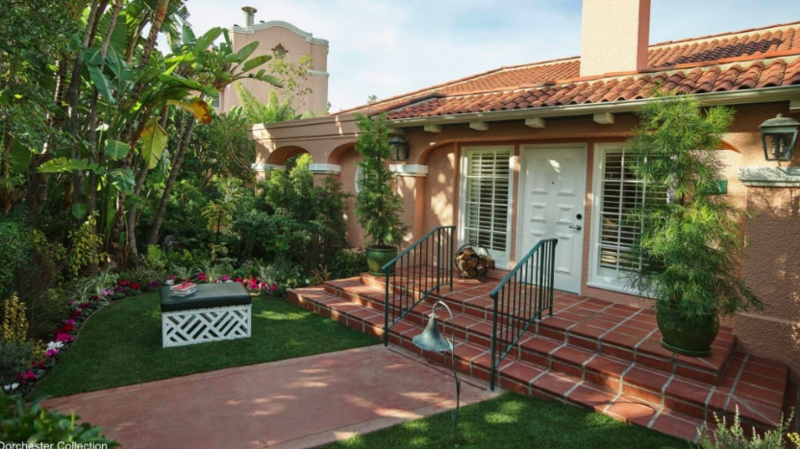 What makes this bungalow stand out (besides the fact that it once was a room to Marilyn Monroe) is that the #1A bungalow comes with a complimentary Chanel No. 5 fragrance bar, Chanel bath products, and something called the Champagne Bath Bubble Experience. 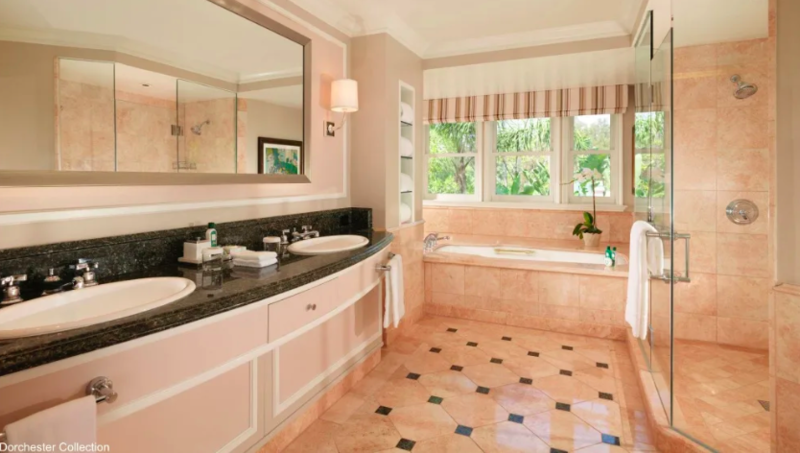 Included in the bungalow are a collection of Marilyn’s films and a beautiful master bedroom that opens up onto a private terrace with table and chairs included. 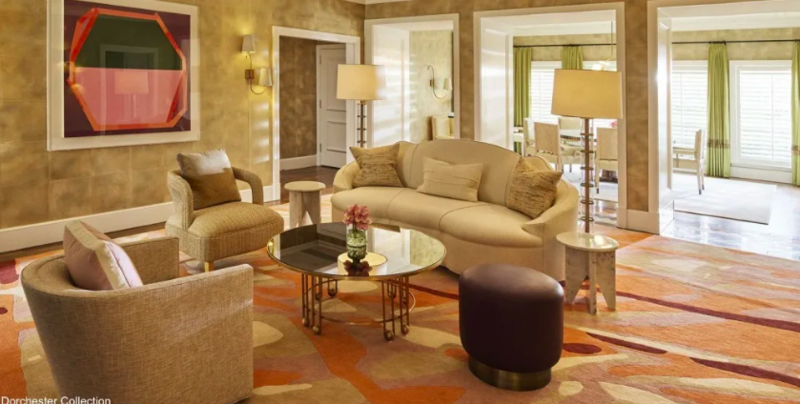 The curved furniture in the room is said to be a reflection of Marilyn’s curvy figure that she was so recognized for in her prime. 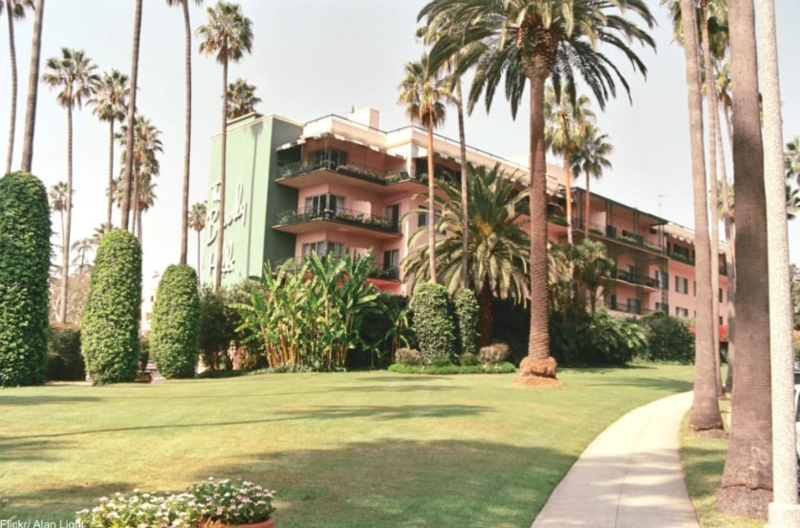 Many other Hollywood stars have stayed at the Beverly Hills Hotel, making it a hot spot for singers, actors, and more. 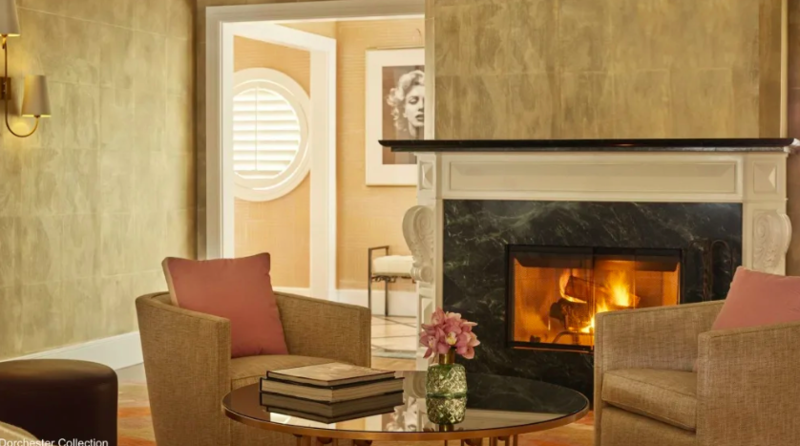 Many of the other big names that have stayed at this hotel and the bungalows, in particular, include Liz Taylor, Lauren Bacall, Gloria Swanson, Marlene Dietrich, and Howard Hughes. This is seriously a beautiful bungalow! Even the outside leading into the bungalow is simply stunning with ample shade and sun and tropical palm trees. The bungalow also includes beautiful portraits of Marilyn around the living space and what looks to be an electric fireplace. Would you stay in this stunning bungalow? Be sure to SHARE this article if you would! Just a beautiful way to pay homage to such an amazing actress!